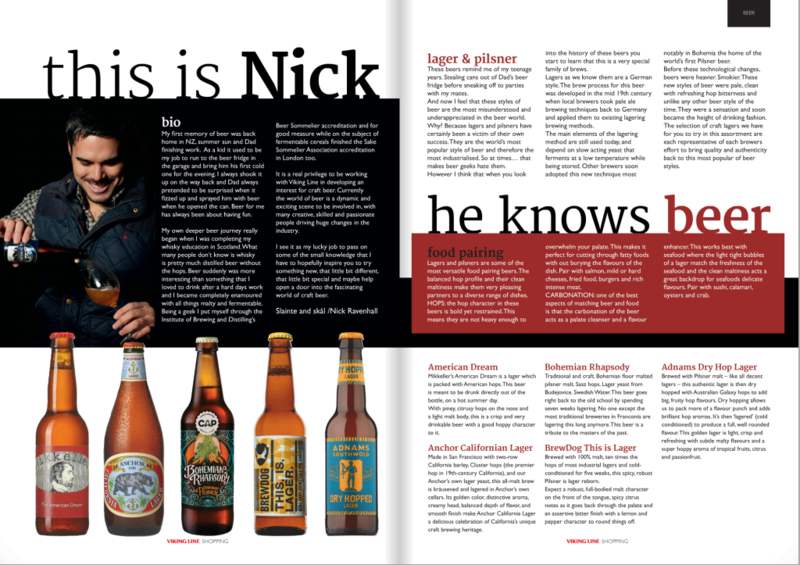 A two-page spread in Viking Line’s onboard sales brochure magazine excitedly introduced their new beer sommelier, and promised all sorts of craft beer delights. Well, the article described five craft lagers. I assumed I’d find a wider range in the shop–and I did! 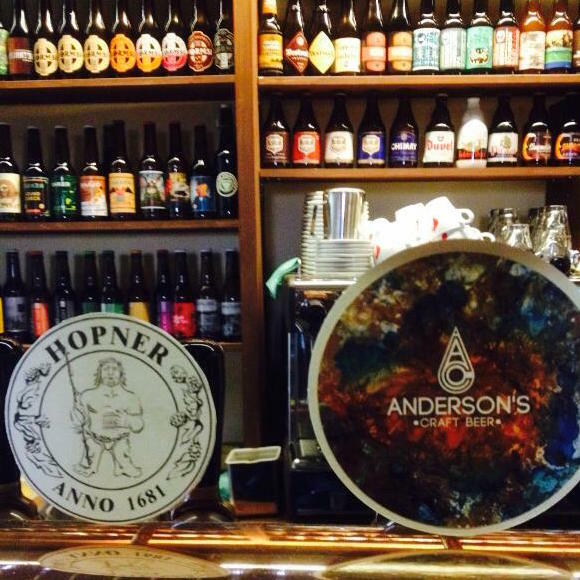 Five craft lagers… and one pale ale. Is Viking management playing it so safe, or did they just happen to hire the world’s biggest lager fan to curate their offerings? If they’re sticking to lagers to encourage people to try something new without straying from their comfort zone, then why paralyse with a choice of five? If they’re actually trying to serve craft beer drinkers, why such a narrow range of styles? Things improved after getting off the boat. I aimed for the old town square, not because I’m a Big Tourist, but because I heard Hopner, a beer-focused restaurant just off the square at Vanaturu Kael, was To Be Visited. I was not disappointed. The food menu looked good–if a little pricey by Tallinn standards–and tasted damn good (the food itself, not the actual menu. You know what I mean). The beer list was extensive, but for the purposes of research I opted for the house ale. Billed as simply a Pale Ale, it was surprisingly full-flavoured for a basic/”house” offering. Very tasty, and a good sign that they’re taking their beer seriously here. Brewed at Õllenaut, by the way. Also impressive were the staff. Enthusiastic and knowledgable about their stock, they even seemed genuinely interested when asking if we enjoyed our meal. The bar at Hopner. Photo shamelessly stolen from their Facebook page. Oh, did I mention they do a five-course beer dinner? With a local craft beer to match each course? For 35 euros? I probably should have mentioned that..
Finns spend enough money on importing alcohol from Estonia to prop up the Estonian literature scene. Fortunately it’s now easier to direct some of that money to local craft brewers, too. 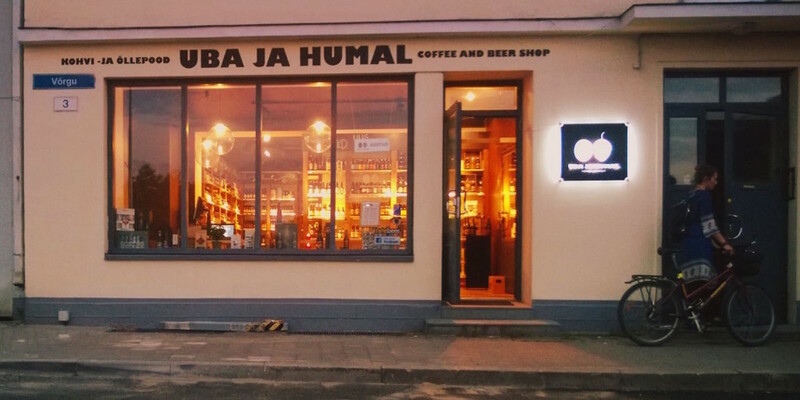 Uba ja Humal is a coffee & beer shop located just a few hundred metres from Tallinn’s ferry terminals. The name means bean & hop, but I detected a lot more hop than bean inside. The spacious shop is well set up for the in-a-hurry visitor; inside the door you’re greeted by shelves with the latest arrivals, and others with the highest-rated (from ratebeer) products they stock. Take the time to venture around the corner, and past the shelf of coffee from small roasteries in Sweden and Germany, you’ll find a couple of hundred more beer options, arranged by country. Denmark, Norway, US, UK, Belgium, Japan, Italy and more I’ve forgotten. Lots of Estonian too, of course, and a fair selection of ciders if you’re into that sort of thing. Photo shamelessly stolen from Uba ja Humal’s Facebook page. At the risk of repeating myself, the service was great too. Enthusiastic and knowledgable about their stock, etc etc. Friendly, helpful and patient, giving lots of recommendations and a couple of cardboard boxes for transportation. We even got a tour of the premises! The alcohol superstores by the harbour always seem so depressing somehow; Uba ja Humal is anything but. One of the nicest beer shops I’ve been to. Have a coffee while you do your beer shopping? Why not.. If you want to know more about Tallinn’s bars, breweries and shops–in English–then look no further than the Estonian Craft Beers blog for full coverage. Thanks for the shout out for Estoniancraftbeers.com! Delighted you found great beers in Tallinn – there’s so much going on in the beer scene here it’s hard to keep up, but I’d definitely suggest skipping the Tallink shop and heading directly to town for one of the specialist beer shops!